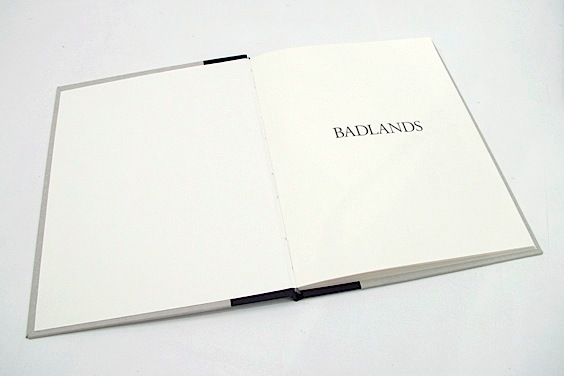 This past week I made a book, Badlands, which is primarily a practice piece for my MCBA mentorship. 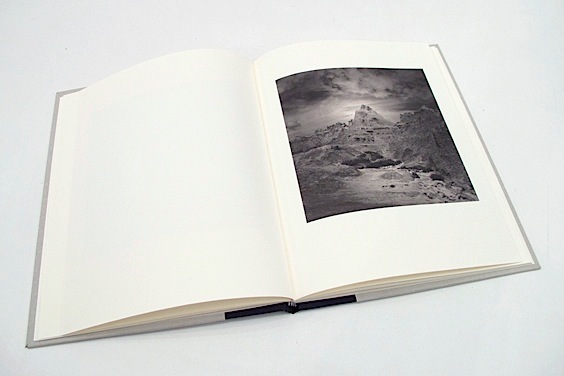 The images were photographed in the Badlands National Park, South Dakota and originally printed in platinum, although I’ve always felt they’d work well together in a small book. 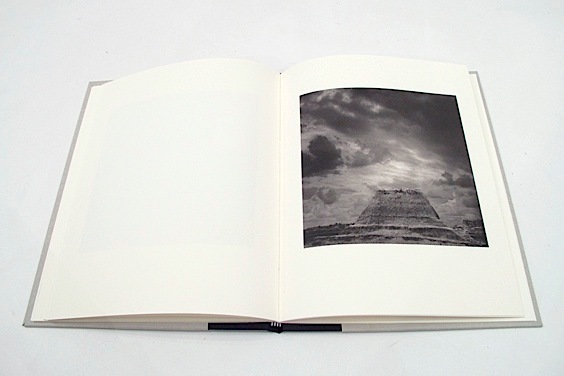 The book contains 10 inkjet images printed on soft white Somerset Book paper, with hand-sewn signatures and a black Japanese bookcloth and Fabriano Roma paper cover. It doesn’t resemble in any way the final format for my MCBA book, but I did want to get more experience with the binding techniques. It’s 10″ x 8″ in size with 6″ square images. I laid out the minimalist book design in InDesign and printed the spreads using Roy Harrington’s excellent Quadtone RIP software to control the tonality of the images. This is only the second time that I’ve bound a multi-signature case-bound volume, so I’m pleased it at least resembles a book. There are plenty of things wrong with it, although some may not be apparent, but I know they’re there.